CZ Publishing publishes non-fiction and fiction books that educate while entertain. They publish both print and ebooks through popular retailers like Amazon, iTunes and Nook. 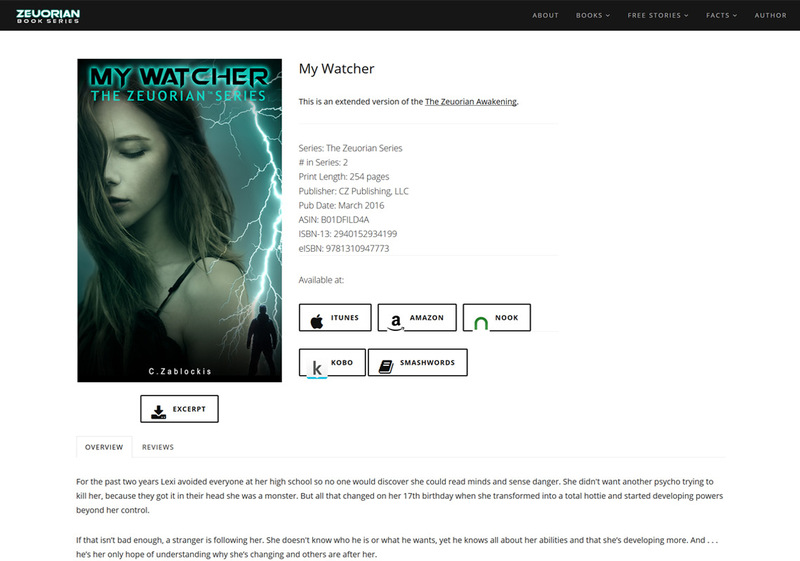 The publisher wanted a website for the the Zeuorian YA Fantasy series. 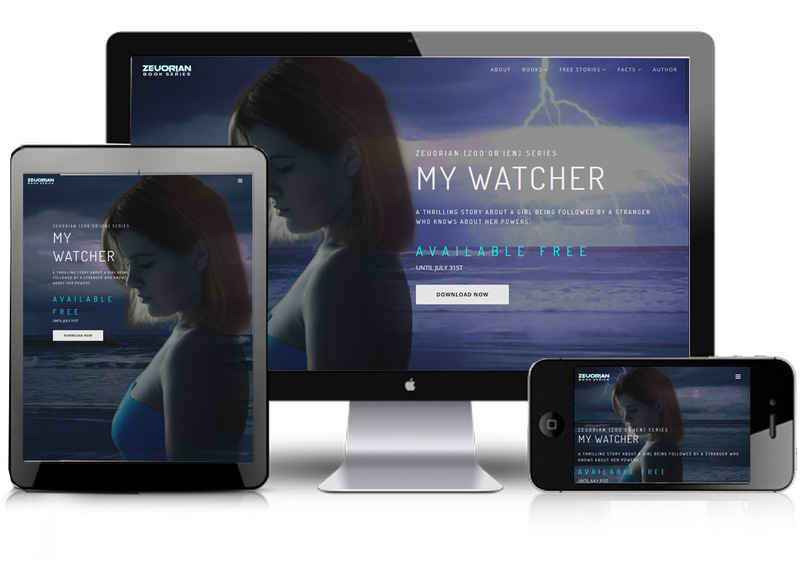 The website needed to serve as a teaser to increase sales and grow a fan base, while provide series info. Use a single landing page layout so all the information is easy to find and doesn't require multiple clicks. The teaser should be placed at the top of the page where users view it first. 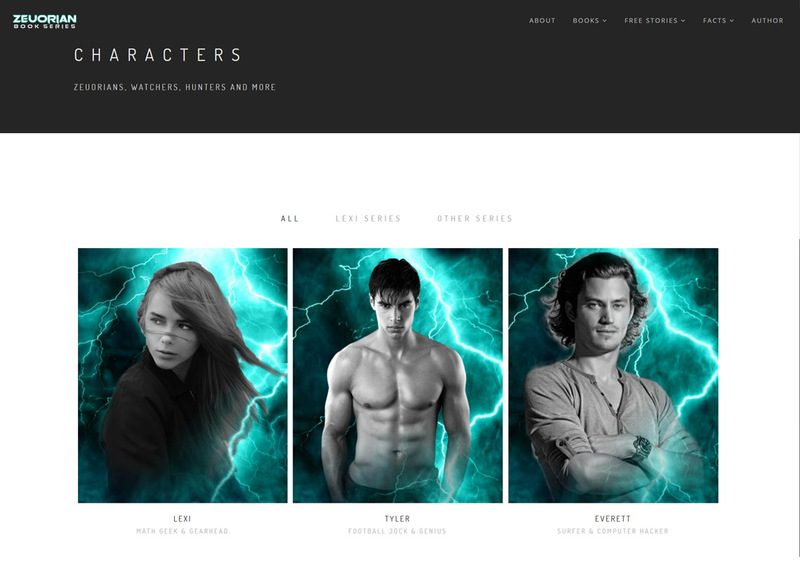 Beneath the teaser should be a list of available and upcoming books in the series with links to book pages, about the author and email sign up for book notifications. Furthermore, a navigation menu should be included for users to scroll directly to a section and by pass the teaser as well as sticky page down and up arrows.